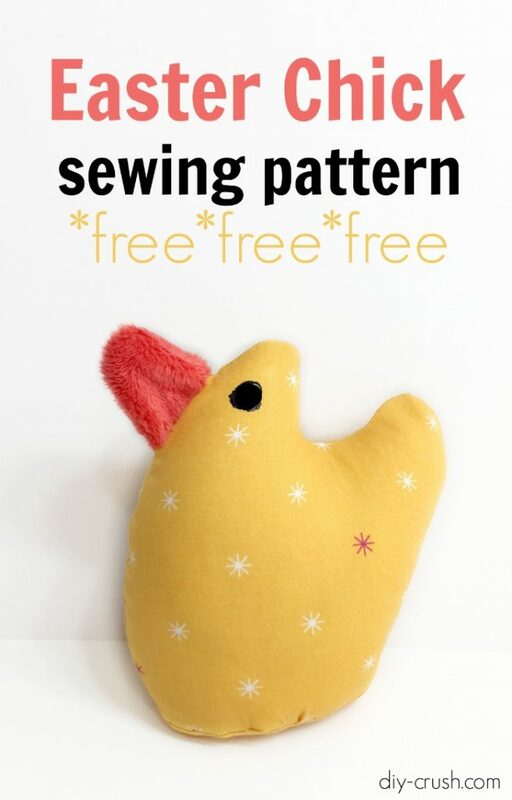 This cute Easter chick sewing pattern is perfect for your décor or as a sweet plushie for kids. Download the chick template and follow the free tutorial. I had so much fun designing this little cutie and I’m sure you will be delighted sewing some as well. Check it out! Okay, let’s get started! Here is what you need to make this cute chick. Oh and it measures only about 4.5″ tall! Perfect for little hands! download the free Easter chick template <<==== click this link! Let’s sew this little chickie! Print the template page and cut out the three shapes. 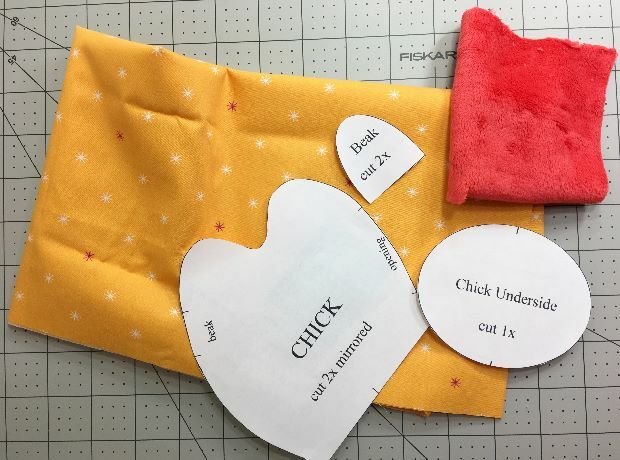 Fold over the main fabric and pin the chick template on. 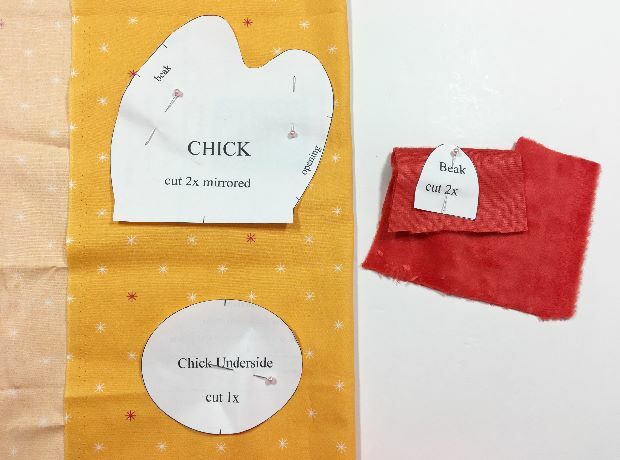 Also pin the chick underside template, but you only need one piece (picture below shows it on the folded fabric). 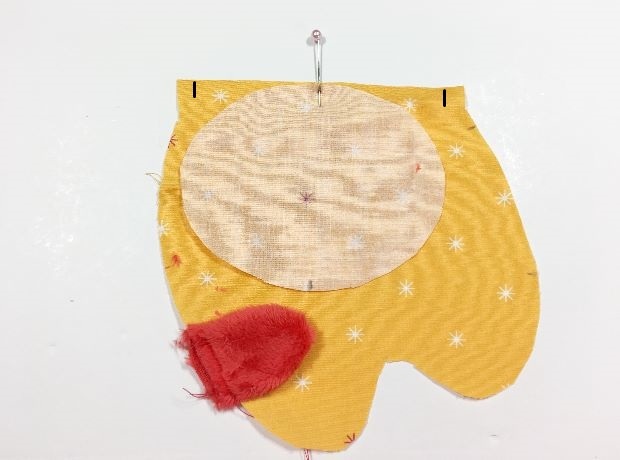 Pin the beak to the folded over fleece or minky fabric. Cut out each template. Transfer the markings onto the fabric. This is an important step that ensures a beautiful result. Below are the main piece and the underside shown with the markings. 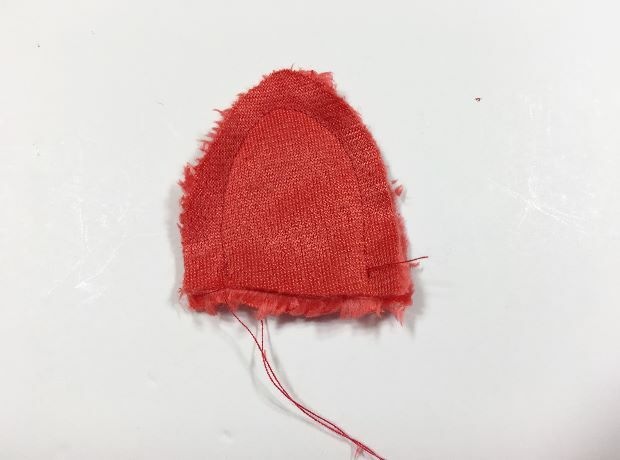 Begin by pinning the two beak pieces with right sides together. 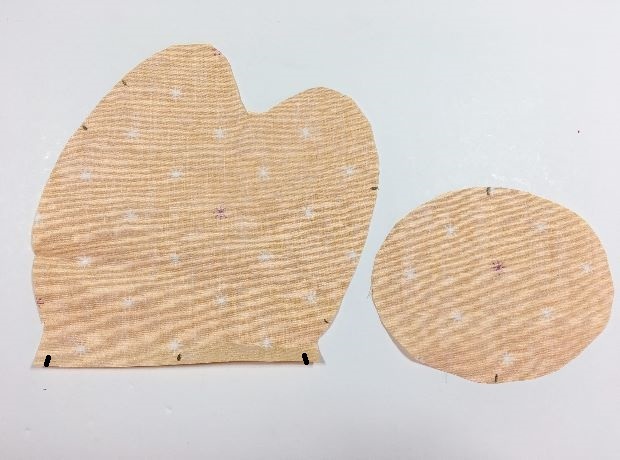 Then sew along the curved edge with a 3/8″ seam allowance. Backstitch the beginning and the end. Turn the beak with right sides out and pin to the main chick fabric. The main chick fabric’s right side should face up and the beak’s open edge should align with the fabric edge. Pin beak right into the beak markings. 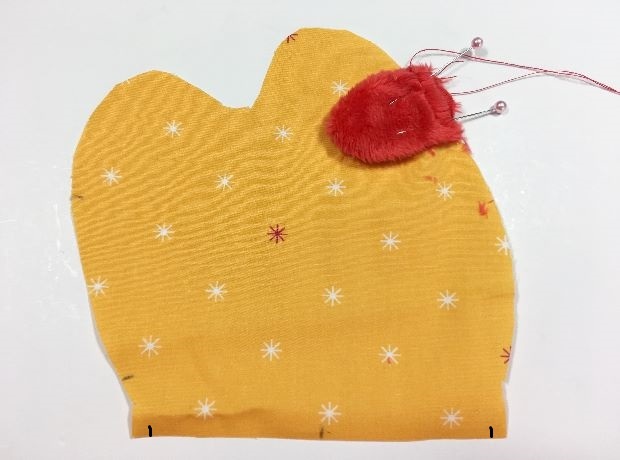 Sew beak on with a 1/4″ seam allowance. Turn the main chick piece upside down and right side facing up. Place the underside piece with right side down onto the main chick fabric piece. Align the center markings and place a pin. 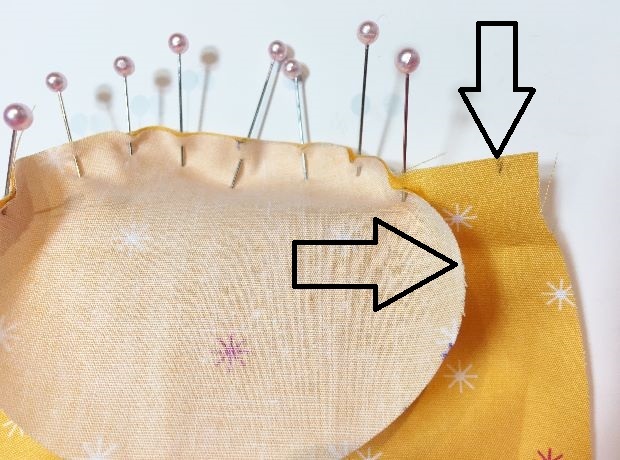 Carefully pin the curve of the underside to the main chick fabric piece. Stop pinning when you reach the marking (as shown with arrows).